A year after it began, a mentor on Mary Portas' Portas Pilots scheme says the Queen of Shops's mission to save high streets was doomed from the beginning. 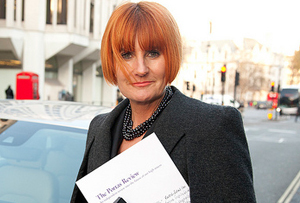 Whatever became of Mary Portas’ mission to ‘save the high streets’? This time last year, 12 ‘Portas Pilots’ - struggling high streets hand-picked by the Queen of Shops to be nursed back to health - were just receiving their share of £1.2m of government funding. The money was to be used, under Mary’s careful guidance, to spruce up their town centres. Only it didn’t work like that. What happened was that, after a further tranche of cash was handed to more towns, Portas made a television series about going round high streets and giving advice to ‘Town Teams’, groups of volunteers with stakes in the local community who wanted to see the area improve. There were tears, tantrums and emotional make-up scenes. Some places – Bedminster in Bristol, for example – becacme nicer. Others – Margate in Kent – remained run-down. In the end, Portas lost confidence in the scheme. At a British Council of Shopping Centres conference in September, she said she’d severed lines of communication with the government because, following a cabinet reshuffle, she was worried saving high streets was ‘not a number one priority’. Now retail expert Simon Baldwin, founder of online communications firm Destination CMS and one of 82 Portas Pilot mentors, tells MT that, despite criticism, the failure of the scheme was not her fault. He adds that – as she suspected – the government’s heart was never in it. ‘The Portas Pilot Review was, from the word go, pretty much fluff. I don’t think it was [her fault]. I think she genuinely wanted to give it her best shot. But he adds that Portas’ tendency was to focus on the ‘big stuff’, rather than coming up with smaller, quicker solutions. ‘Everybody wants to look at the big stuff. ‘Can we bulldoze this or put free parking here?’ It’s not about that – it’s about understanding what shoppers want. ‘I’m not suggesting that every high street up and down the land is saveable – but the biggest driver for shopping is convenience. You either shop where you live or where you work. The problem with Mary’s programme – and the Portas Pilot Review itself – is that it got wrapped up in things that are too big,’ he says. Portas’ scheme might have had its share of criticism in the press, but Baldwin adds that it was essentially sound. The main problem was the government’s lack of commitment to the programme.